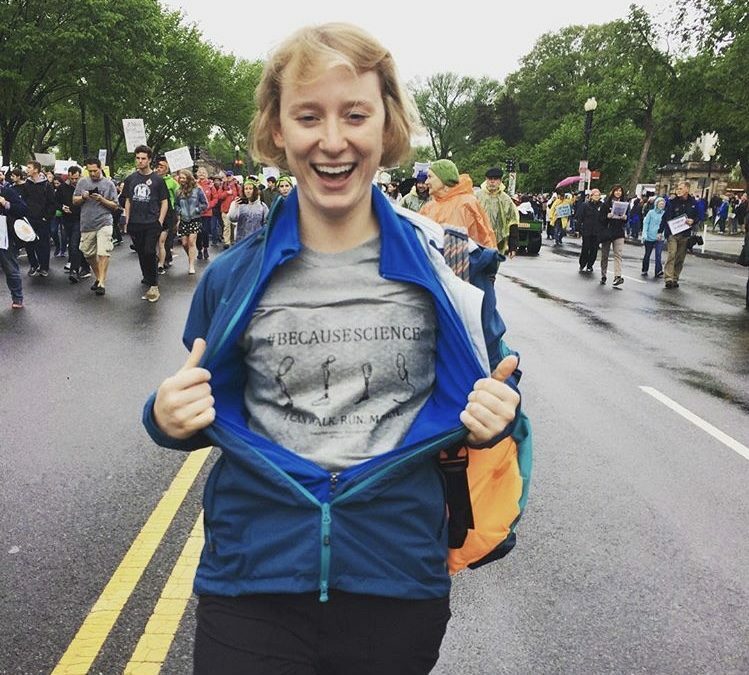 It was almost a year ago that I attended my very first rally in Washington, D.C., the March for Science. #BecauseScience, I Can Walk. Run. March. On the design were images of cool-looking prosthetic devices, with a Shutterstock watermark still in the background, and a design that clearly screamed Microsoft Word. In its simplicity, though, was a much deeper and richer story to be told. Science saved my life from cancer. And it gave me the ability to be mobile again. I knew I had to make a stand for my life, and the lives of future cancer survivors and amputees. It’s amazing to think that even at this time last year, the concept of “Forrest Stump” had not yet even been born. This march planted a seed in my mind which grew much bigger over time. A seed that allowed me to start thinking about equity, the rising cost of healthcare, and many misconceptions portrayed in the media about amputees’ access to prosthetics. I always knew our name was good…but didn’t realize it was that good! It’s a perfect fit for our efforts to advocate for amputees. To bring to light the real story behind access to prosthetic technology and the lengths an amputee must go to receive the care and limbs they need. So, I’m excited to say that over the next two months, I’m bringing BOTH of my stumps to D.C….twice! First, in March, I’ve been invited to attend the American Orthotic and Prosthetic Association’s (AOPA) 2018 Policy Forum…and Natalie Harold, my partner, prosthetist, and teammate, will be joining me! Our first day will be a full briefing on the latest legislative and regulatory details affecting the prosthetic world. AOPA’s focus is on the businesses and clinics that serve the amputee community, so we will dive deep into the critical issues affecting these businesses. On our second day we will head to Capitol Hill to meet with our congressional representatives from the state of Washington, Senators Murray and Cantwell. I’ll then be back in April, for the Amputee Coalition’s 2018 Hill Day, again meeting with my congressional representatives and their staffers on Capitol Hill. 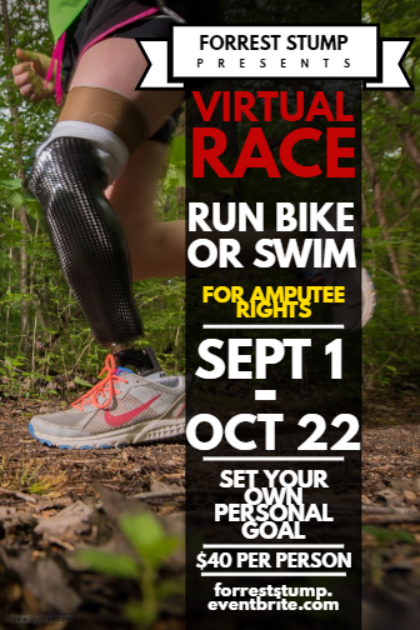 The Amputee Coalition’s focus is on individuals living with limb loss. This will be my opportunity to meet other amputees and hear their personal stories of delayed or denied care. 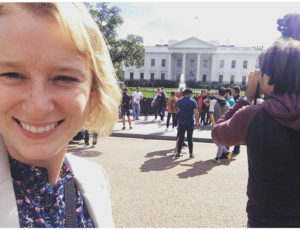 Both meetings will be a critical first step in bringing Forrest Stump’s name to D.C., as well as understanding the challenges that impact this community from multiple perspectives. 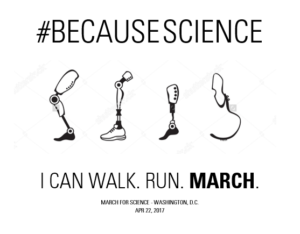 My goal is that we can someday emulate the success of the March for Science, or even the Women’s March, with a march for amputees in D.C.
Today is just the beginning of that vision.